The Nelson Perch stool from Vitra is the ideal solution for a working position between standing and sitting. 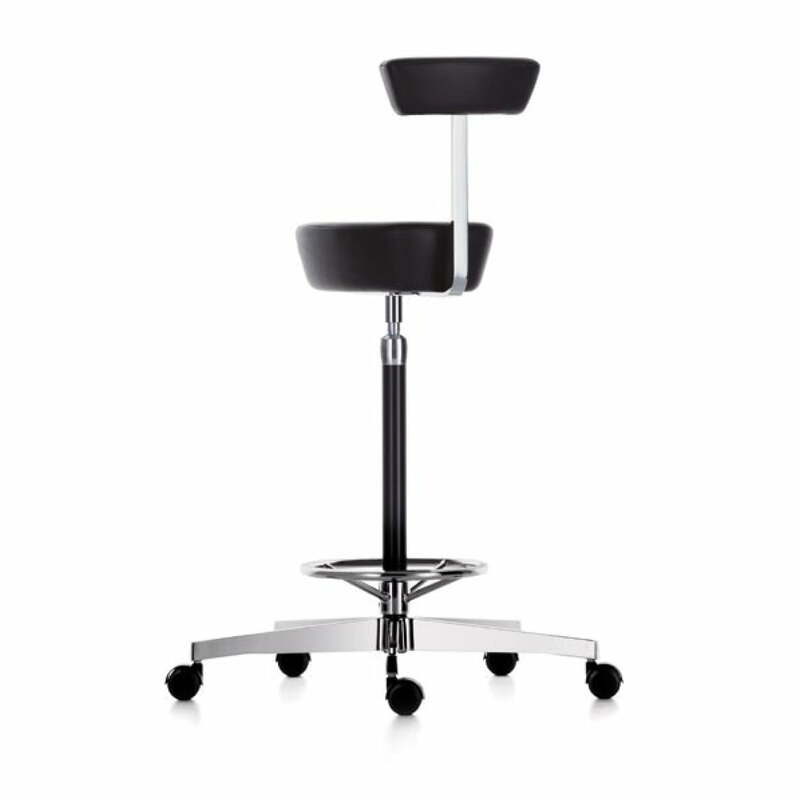 Also at informational conferences the Vitra stool offers help and support while standing. 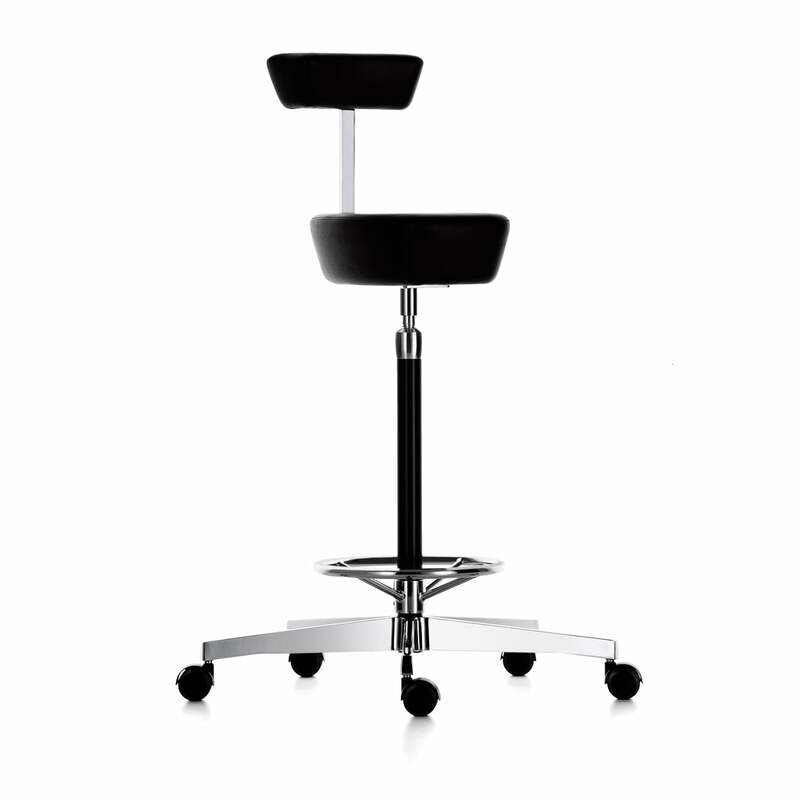 The Nelson Perch stool is height adjustable; this ensures the optimal sitting height at the workplace. The armrest and the feet positioning ring enable a comfortable posture. George Nelson originally designed the Nelson Perch stool in the year 1964. 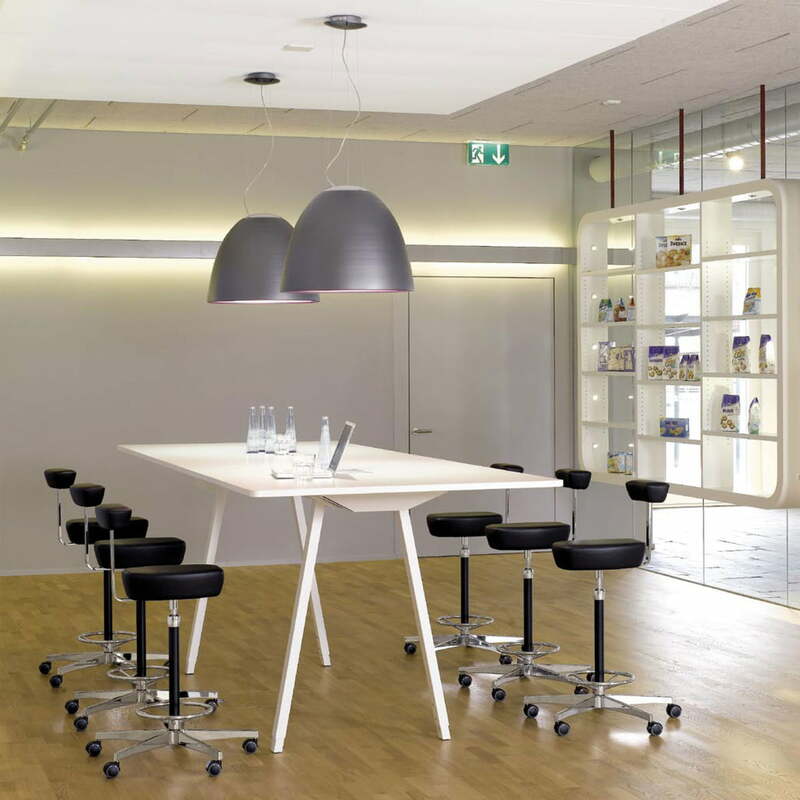 The re-edition of the stool now named “small horse” is connected to the rising of office and work concepts, where working in a standing position gained importance against the sitting variant. 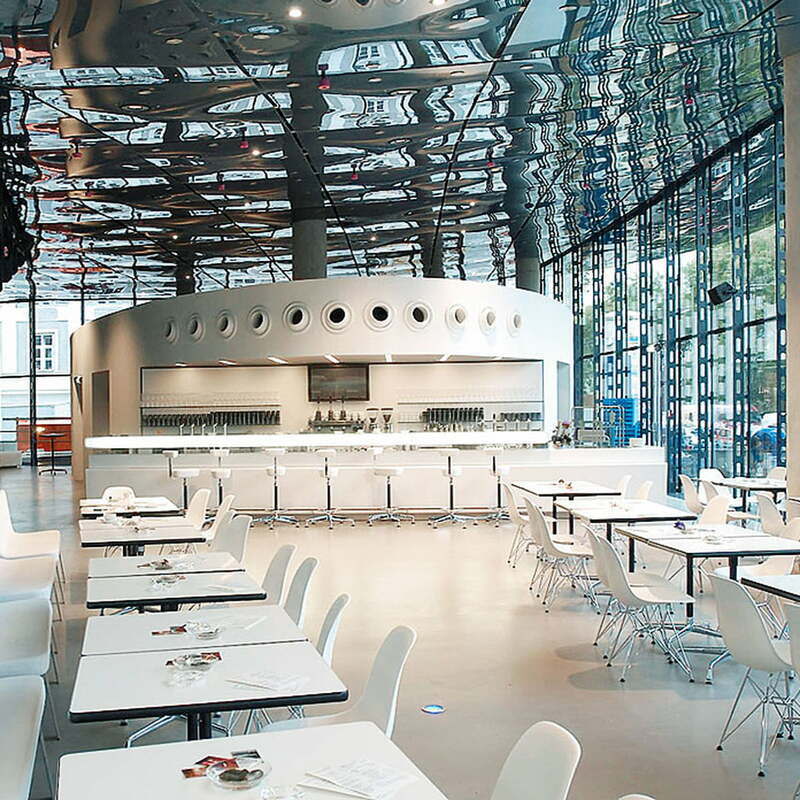 For these changed demands, Nelson Perch comes to be the ideal solution. The seat and armrest upholstering of the stool are leather-cushioned. The stand tube consists of round steel and is powder coated. The 5-star under-frame consists of aluminium die casting and is chromed. Reverse braked rolls are used at the Nelson Perch, because they block automatically when they are charged, otherwise they are naturally mobile. Slip-resistant mounting aid is enabled by a chromed foot rest made of steel with a rough surface.